Hydroviron Training is committed to providing a high quality support service for all our learners from initial enquiry through to certification. This statement will help us monitor and continually improve our service. 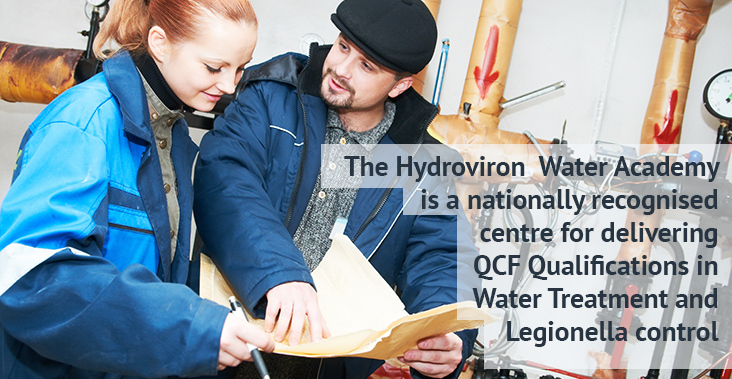 The Hydroviron Water Academy is a nationally recognised centre for the delivery of QCF Qualifications in Water Treatment. The Qualifications are competence based and driven by national occupational standards developed by the water treatment industry. The Qualifications are delivered by formally qualified assessors, with broad water treatment occupational experience, in line with strict, government regulated quality procedures. In addition, The Hydroviron Water Academy is a nationally approved centre for the training and professional development of individuals working within the water treatment industry. All knowledge training provided is mapped to the units of assessment for the Water Treatment Qualifications, enabling ease of knowledge transfer to any current or future qualification assessment. Our expertise in the industry has enabled us to develop a flexible assessment and knowledge training delivery offer, designed to compliment your current and future training needs. The availability of our modular training model, own offices training and bespoke training give you extensive flexibility in your staff training and development programmes. Our Trainers and Assessors are highly experienced professionals and the qualification and training options we provide are extensive and relevant to today’s working practices. All delivered within a robust, externally and continuously audited quality and management system. Unlike other training courses declared as accredited the Hydroviron modules offered under these schemes meet Ofqual Regulated Content requirements, are independently delivered and assessed by Approved Qualification Centres to comply with Ofqual rules and standards. They attract funding as they lead to, or are linked to National QCF Qualifications which are listed on the “Register of Regulated Qualifications” as are A-levels, HND’s, NVQ’s,etc. Training encompasses both the gaining of knowledge required to complete a task and instruction in how to complete the task involved. To achieve a Water Treatment Competence Qualification the candidate is assessed by Qualified occupationally competent Assessors in the application and performance of their skills and knowledge, in the work place. 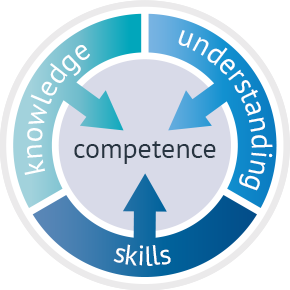 Throughout the assessment process the candidate is required to provide evidence of competence to complete work tasks in the work place, and evidence of the knowledge required to support that specific task competence. Instruction and guidance will be provided by someone occupationally competent in the task to be undertaken and may be given individually, as part of a field team or in a simulated environment. Gain the relevant knowledge required to complete a task. If the candidate is confident that they are already performing the skills within the units at the competent level, only the assessment process may be required to achieve the qualification. It is therefore not a requirement of the qualification that any additional training needs to be undertaken. However, where the candidate feels that further training is needed to be successful in the assessment, in addition to delivery of the Qualifications, Hydroviron can provide the additional knowledge training required. For this reason all Hydroviron training is directly mapped to the knowledge requirements of the Qualification Units for ease of evidence provision to the Assessor involved. The Hydroviron Water Academy is a Nationally Recognised, Regulated and Approved Centre for delivering QCF Qualifications in Water Treatment and Legionella control.